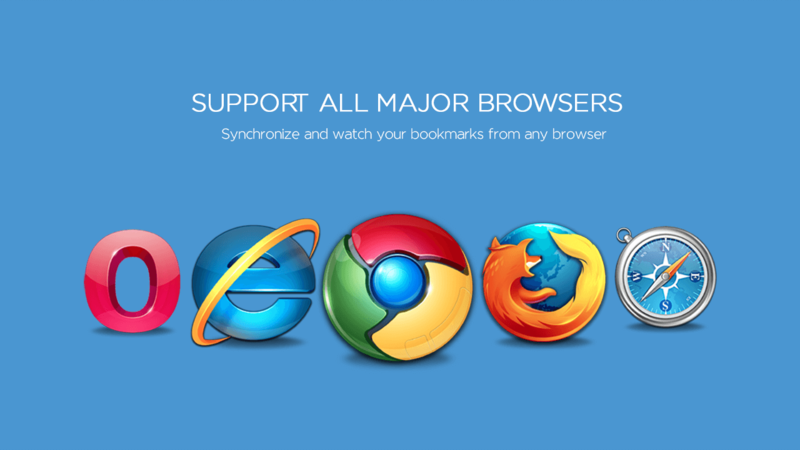 Sitecity keep you bookmarks sync across all your devices. Our apps are easy to use for web,Chrome and iPhone. 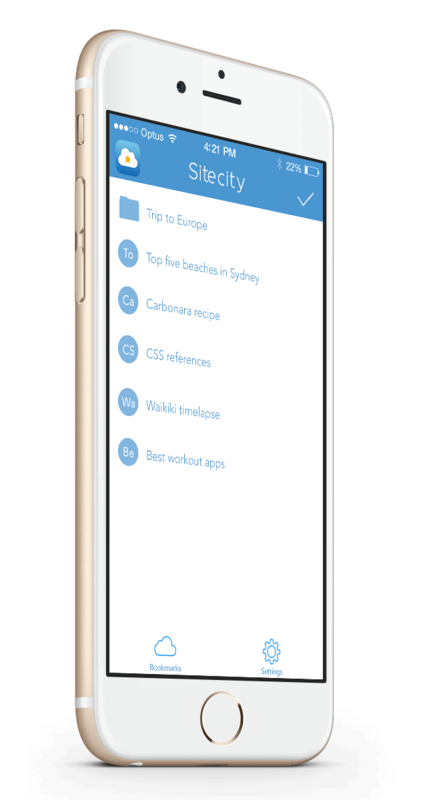 With Sitecity dedicated iOS app you can manage everything in one place. Save,organize and share directly from your phone. 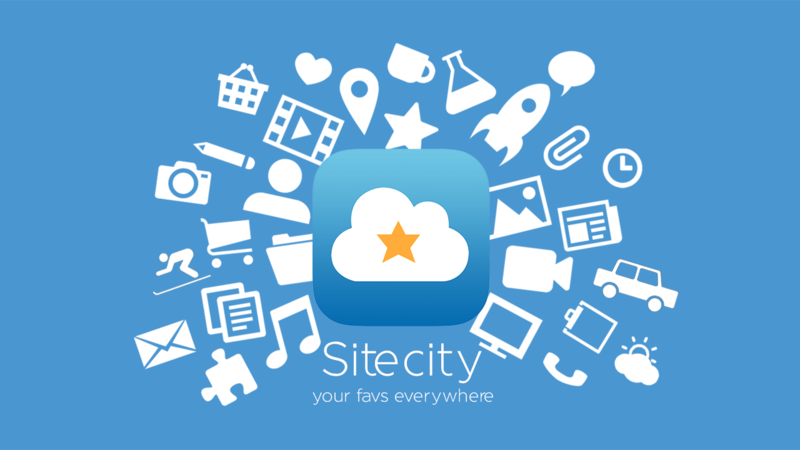 Sitecity is available as a Chrome extension on the Chrome app store. and review all you saved page in a click! 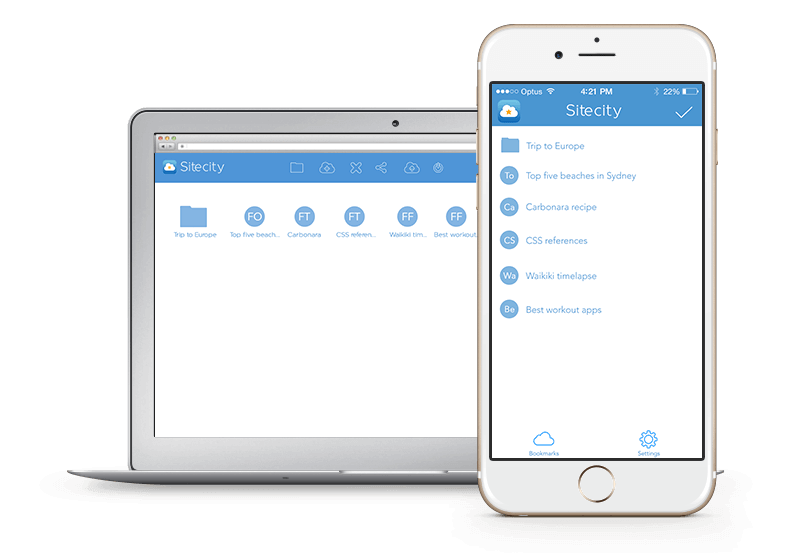 Use Sitecity on every browser,manage,add and share your favs on every pc or mac,from home or from work. Wherever you are,your favourites links will be always with you! 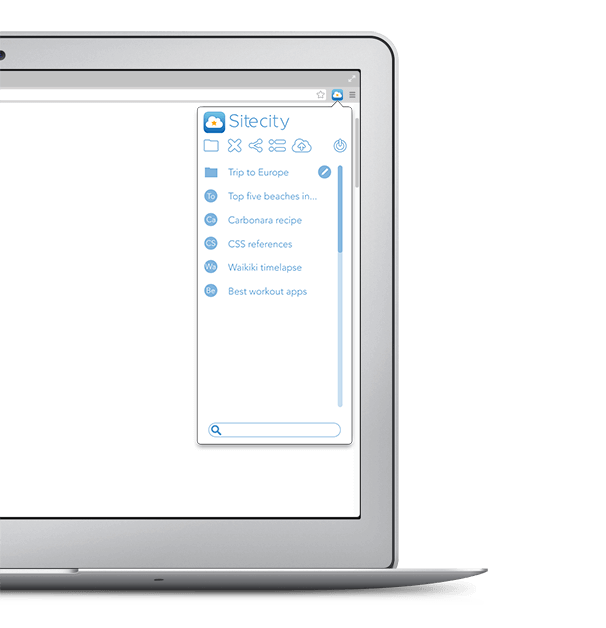 Sitecity allow you to add favs very quickly and easily. Just right click on a page and add it.Easy,fast and safe,even on your phone. Save your favs in folder and organize them by category. Share your favs with your friends using facebook or twitter. 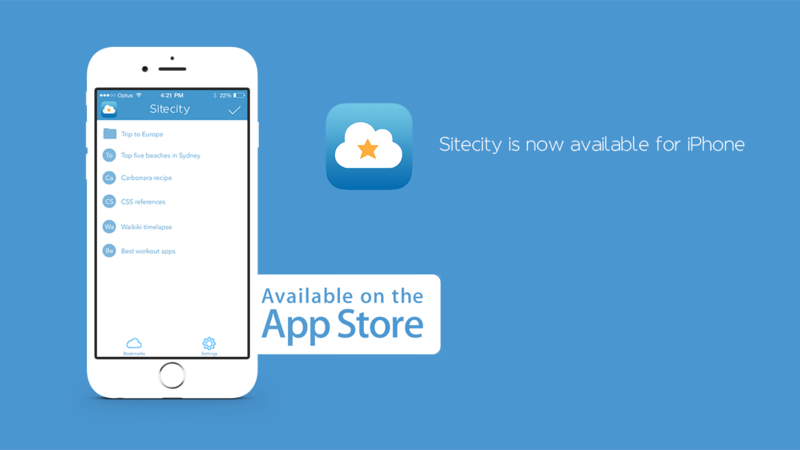 Sitecity is mobile. Fully builded in jquery mobile you can navigate like using chrome app and add new one directly. 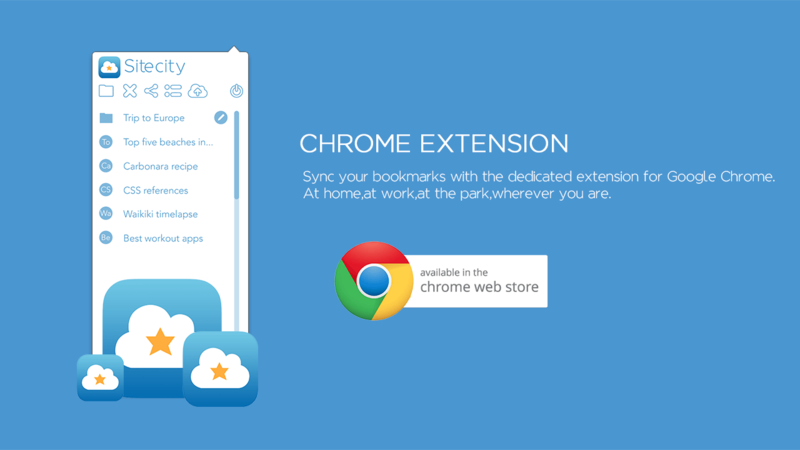 The Chrome web extension is the best way to use Sitecity. Dedicated and intuitive interface makes it easier,just one click to add whatever you want in your collection.